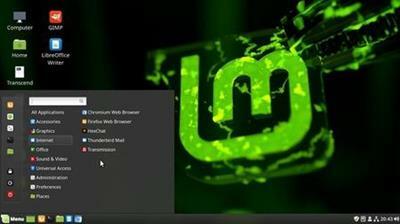 Quick Guide On Installing Linux Mint - Beginner to Advanced | Free eBooks Download - EBOOKEE! Learn how to quickly and easily install Linux Mint OS on a virtual machine for your learning/testing purposes. This course is for anyone interested in Linux OS but not sure how to install it. I guide you through the process of installing Linux Mint on a virtual machine using Oracle VirtualBox. That way you don't have to worry about affecting any of your personal data or breaking your Windows/Mac OS. You can safely learn Linux by practicing on a Linux virtual machine. This course can also be used to install Linux on your physical machine/pc, if you wanted to. You will also learn about the correct partitioning of a Linux installation. Bonus near the end of the course(after installation): you will learn a couple of things about the Linux Mint desktop and setup. No comments for "Quick Guide On Installing Linux Mint - Beginner to Advanced".